Like Aamir Khan, Kangana too boycott's all award functions and we do miss her presence there. However, despite not being present, she got an award for Queen. 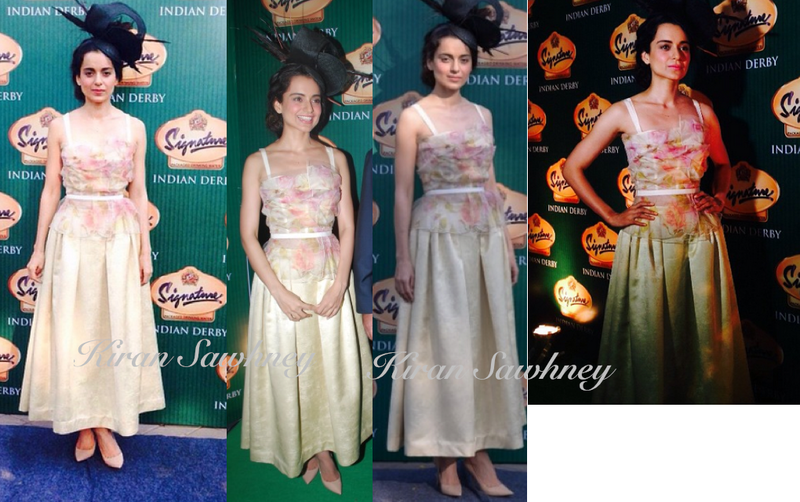 Well, today Kangana was at Signature Derby where she wore Dolce & Gabban outfit. It was a floral top and cream colored long skirt. She teamed it with black fascinator and pink, pointed shoes.